Feedback was invited on Narrows Inlet Hydro Holdings Corporations’ request for an amendment to the Environmental Assessment Certificate for the proposed Narrows Inlet Hydro Project until July 28, 2016. 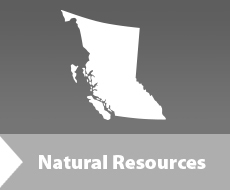 The Project is located approximately 50km north of Sechelt, BC. The Project is made up of three hydroelectric facilities located at Chickwat Creek, Upper Ramona Creek and Lower Ramoan Creek in the Tzoonie River Valley and Narrows Inlet. Narrows Inlet Hydro Holdings Corporation’s application for an amendment of the Environmental Assessment Certificate (#E13-04) for the Narrows Inlet Hydro Project focuses on design changes to the Upper and Lower Ramona Creek hydroelectric facilities, and addressing omissions in the Project boundary and reflecting permit requirements. The intention of seeking public comments was to ensure that all potential effects – environmental, economic, social, heritage and health – that might result from the proposed changes to the project are identified for consideration as part of the amendment process, and all comments received during this period in relation to the amendment application will be considered.